The Purple sweet potato is a good source of fibre, vitamins and minerals. 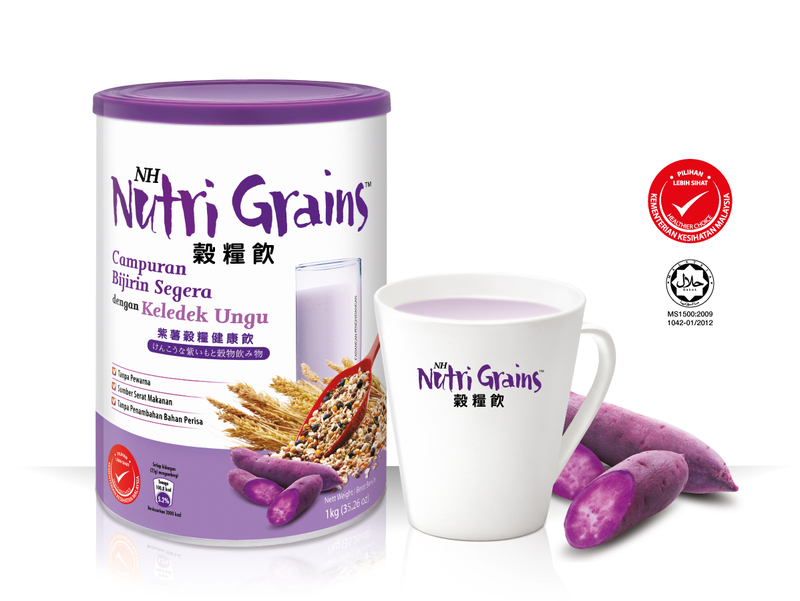 When combined with 20 nutrient-rich grains, it further enhances the taste of grains, making this drink a wholesome and delicious drink that even picky eaters will enjoy! The purple sweet potato contains the highest antioxidant content compared white, cream, yellow and orange fleshed potatoes (Choong et.al., 2007). It even has higher antioxidant activity than some blueberries (Cevallos- Casals et.al., 2002). Cevallos-Casals, Cisneros-Zevallos. Bioactive and functional properties of purple sweet potato (Ipomoea batatas (L.) Lam). J Acta horticulturae 2002.